25 50 100 All Results per page. Phantom Gray Metallic, 10 mi, Auxiliary Audio Input,Bucket Seats,Driver Illuminated Vanity Mirror,HD Radio,Heated Mirrors,AM/FM Stereo,Automatic Headlights,Driver Air Bag,Emergency Trunk Release,Floor Mats,Heated Front Seat(s),Keyless Start,Navigation from Telematics,Passenger Illuminated Visor Mirror,Passenger Vanity Mirror,PW,Smart Device Integration,Tire Pressure Monitor,Universal Garage Door Opener,Engine Immobilizer,Intermittent Wipers,Knee Air Bag,Leath Int,MP3 Player,Power Driver Seat,Rear Parking Aid,Security System,Stability Control,Aluminum Wheels,Auto-Dimming Rearview Mirror,Child Safety Locks,Climate Control,Cruise,Daytime Running Lights,Multi-Zone A/C,PS,Rear Defrost,Rear Head Air Bag,satellite radio,Seat Memory,WiFi Hotspot,A/T,Front Head Air Bag,Integrated Turn Signal Mirrors,Keyless Entry,Pass-Through Rear Seat,Power Mirror(s),Premium Sound System,Rear Bench Seat,Telematics,Tires - Rear Performance,Tow Hooks,Traction Control,4-Wheel Disc Brakes,A/C,Adjustable Steering Wheel,All Wheel Drive,Bluetooth Connection,Heated Steering Wheel,Passenger Adjustable Lumbar,Power Passenger Seat,Tires - Front Performance,Leather Steering Wheel,Mirror Memory,PDL,Remote Engine Start,Remote Trunk Release,Steering Wheel Audio Controls,8-Speed A/T,ABS,Back-Up Camera,Driver Adjustable Lumbar,Driver Vanity Mirror,Front Side Air Bag,Navigation System,Passenger Air Bag,Passenger Air Bag Sensor VIN:1G6AF5SXXJ0184359, Stock No:N301, Call Kristal Cadillac Chevrolet at 888-277-6247 or 800-408-3333. Say you saw it in Car Buyers Market. 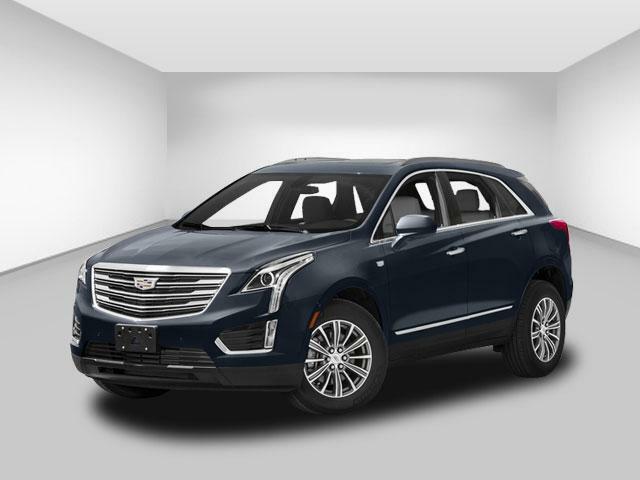 RED, 10 mi, VIN:1G6AX5SX5J0176893, Stock No:N148, Call Kristal Cadillac Chevrolet at 888-277-6247 or 800-408-3333. Say you saw it in Car Buyers Market. 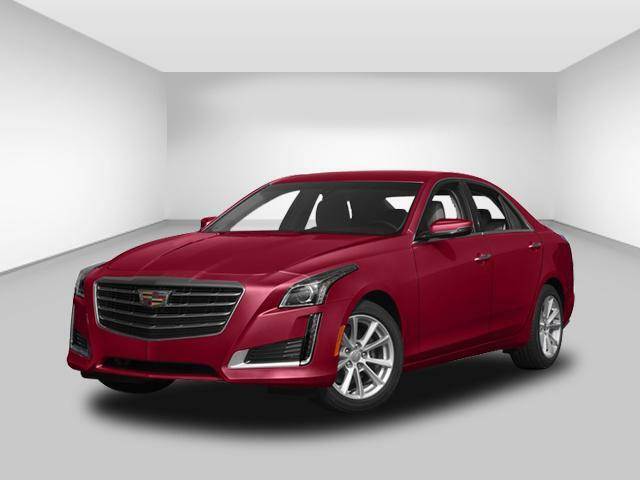 RED, 10 mi, VIN:1GYS4BKJ3JR254601, Stock No:A8583, Call Kristal Cadillac Chevrolet at 888-277-6247 or 800-408-3333. Say you saw it in Car Buyers Market. 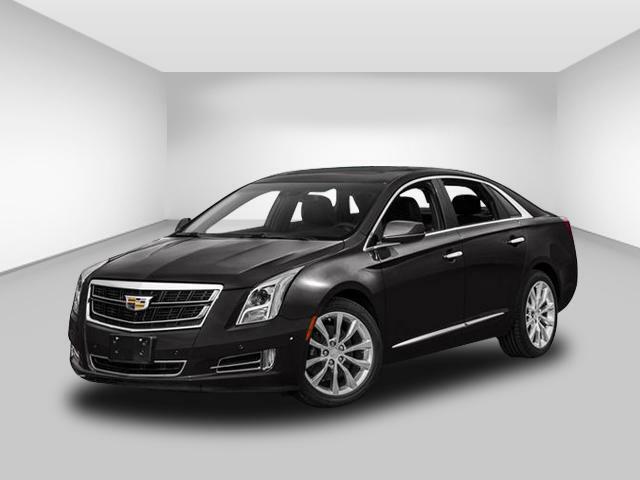 BLACK, 10 mi, VIN:1GYS4DKJXJR203818, Stock No:A8478, Call Kristal Cadillac Chevrolet at 888-277-6247 or 800-408-3333. Say you saw it in Car Buyers Market. 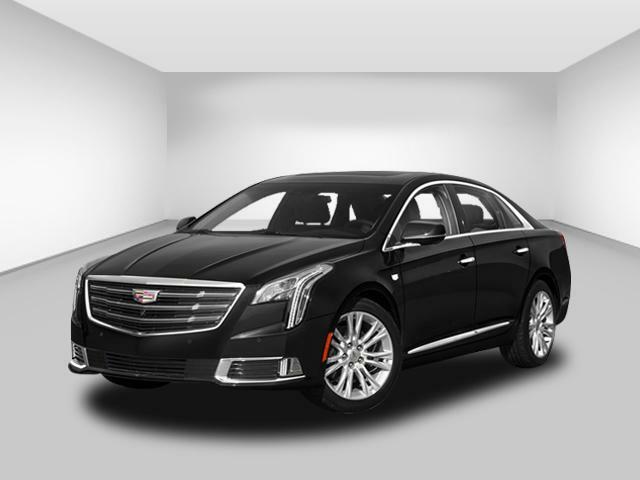 BLACK, 10 mi, VIN:1GYS4HKJ7JR261196, Stock No:A8588, Call Kristal Cadillac Chevrolet at 888-277-6247 or 800-408-3333. Say you saw it in Car Buyers Market. 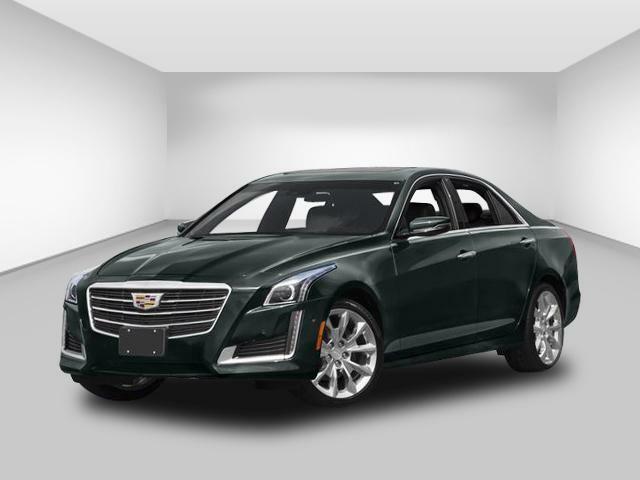 BLACK, 10 mi, VIN:1GYS4HKJXJR304817, Stock No:A8698, Call Kristal Cadillac Chevrolet at 888-277-6247 or 800-408-3333. Say you saw it in Car Buyers Market. WHITE, 10 mi, VIN:1GYS4HKJ4JR320723, Stock No:A8789, Call Kristal Cadillac Chevrolet at 888-277-6247 or 800-408-3333. Say you saw it in Car Buyers Market. This Spot Is For You! Place Your Ad Right Here for FREE...Click Here! BLUE, 10 mi, VIN:1GYKNCRS0JZ203400, Stock No:A8564, Call Kristal Cadillac Chevrolet at 888-277-6247 or 800-408-3333. Say you saw it in Car Buyers Market. BLACK, 10 mi, VIN:1GYKNDRS0JZ203998, Stock No:A8565, Call Kristal Cadillac Chevrolet at 888-277-6247 or 800-408-3333. Say you saw it in Car Buyers Market. 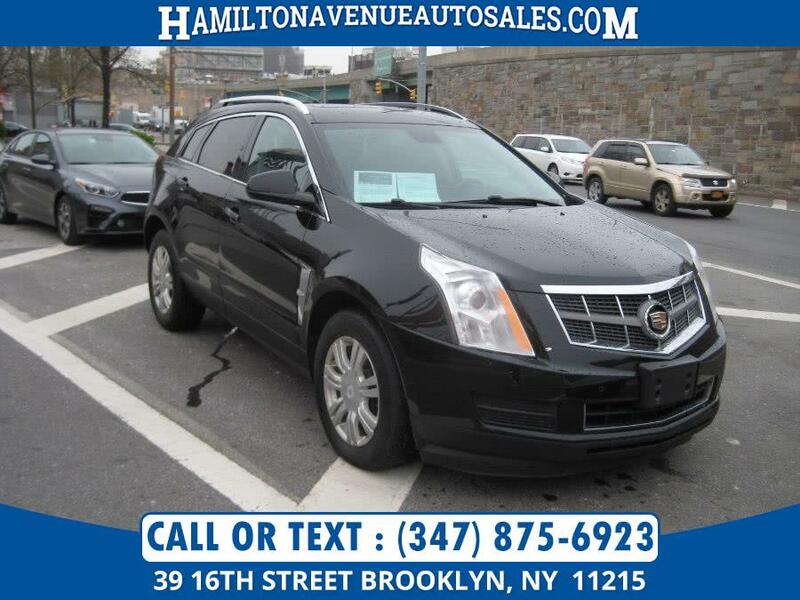 GRAY, 10 mi, VIN:1GYKNDRS1JZ132326, Stock No:A8272, Call Kristal Cadillac Chevrolet at 888-277-6247 or 800-408-3333. Say you saw it in Car Buyers Market. 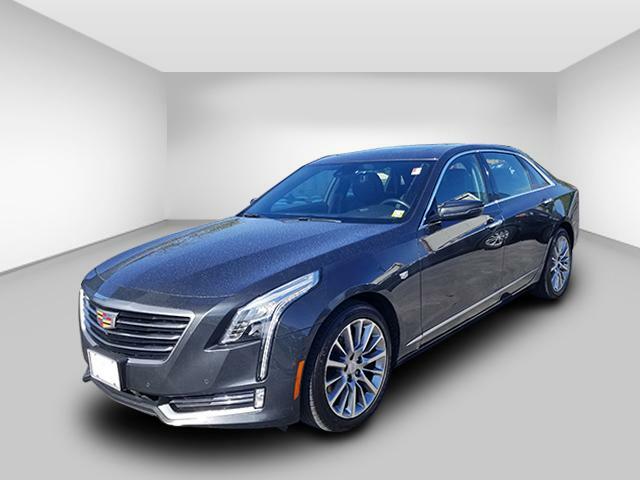 BLUE, 10 mi, VIN:1GYKNDRS3JZ202456, Stock No:A8559, Call Kristal Cadillac Chevrolet at 888-277-6247 or 800-408-3333. Say you saw it in Car Buyers Market. 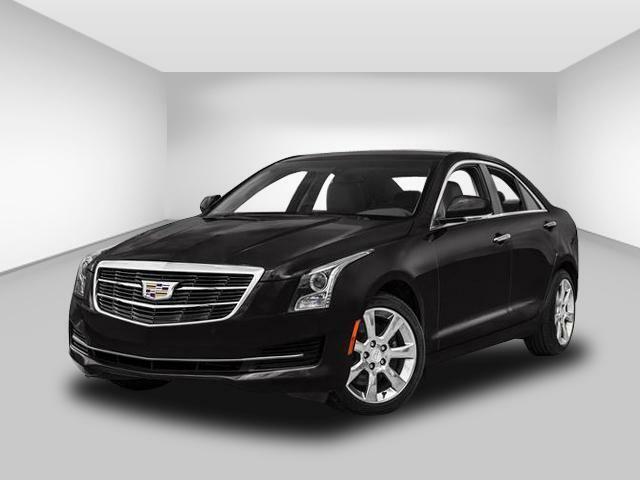 BLACK, 10 mi, VIN:1GYKNDRS5JZ130045, Stock No:A8261, Call Kristal Cadillac Chevrolet at 888-277-6247 or 800-408-3333. Say you saw it in Car Buyers Market. 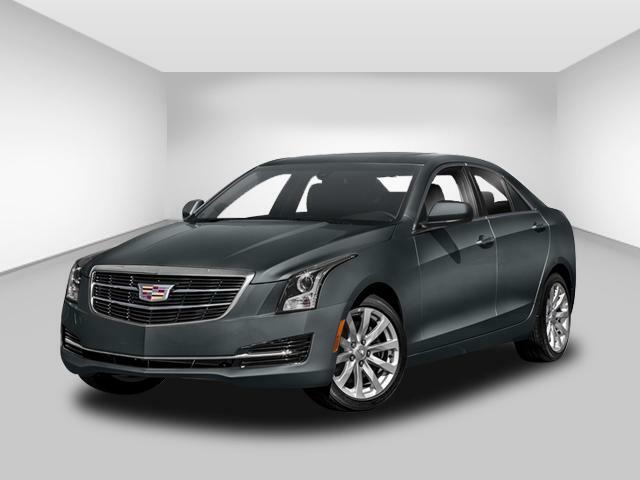 SILVER, 10 mi, VIN:1GYKNDRS5JZ204905, Stock No:A8580, Call Kristal Cadillac Chevrolet at 888-277-6247 or 800-408-3333. Say you saw it in Car Buyers Market. BLACK, 10 mi, VIN:1GYKNDRS8JZ121968, Stock No:A8224, Call Kristal Cadillac Chevrolet at 888-277-6247 or 800-408-3333. Say you saw it in Car Buyers Market. 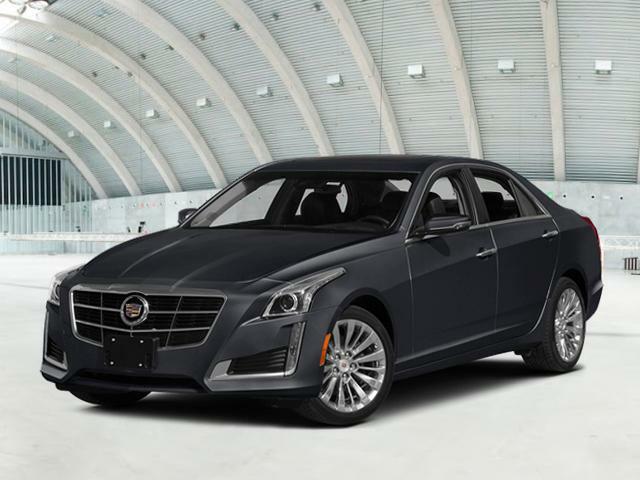 BLACK, 10 mi, VIN:1GYKNDRS9JZ218659, Stock No:A8670, Call Kristal Cadillac Chevrolet at 888-277-6247 or 800-408-3333. Say you saw it in Car Buyers Market. 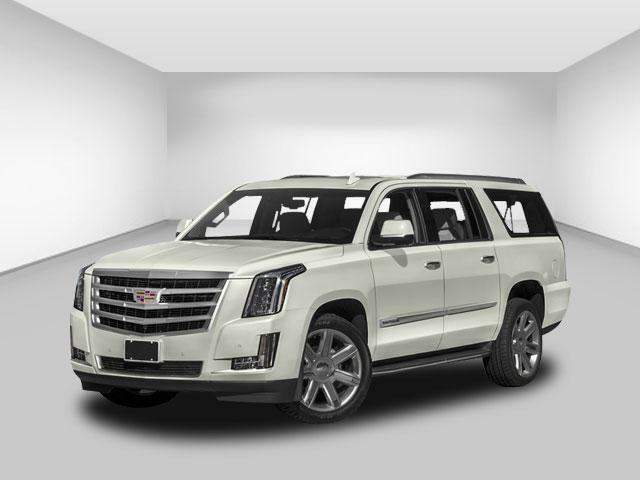 WHITE, 10 mi, VIN:1GYKNFRS2JZ115661, Stock No:A8203, Call Kristal Cadillac Chevrolet at 888-277-6247 or 800-408-3333. Say you saw it in Car Buyers Market. 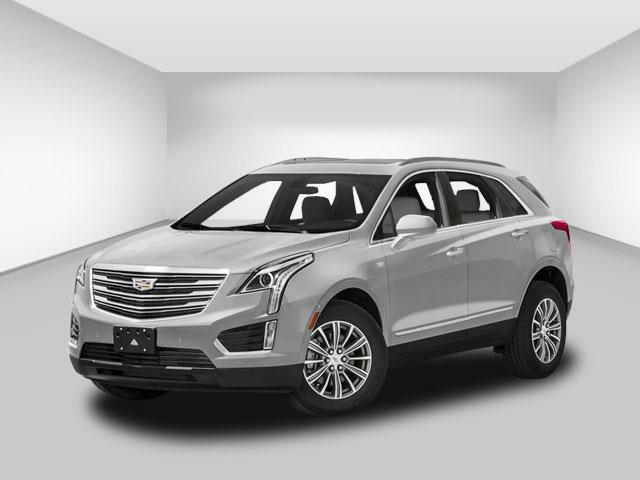 SILVER, 10 mi, VIN:1GYKNDRSXJZ228262, Stock No:A8723, Call Kristal Cadillac Chevrolet at 888-277-6247 or 800-408-3333. Say you saw it in Car Buyers Market. 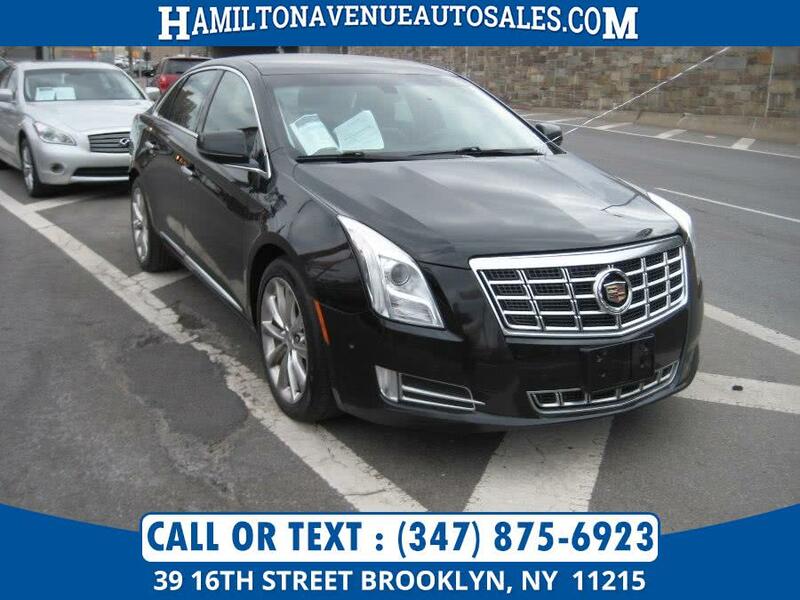 BLACK, 10 mi, VIN:2G61N5S3XJ9168622, Stock No:A8794, Call Kristal Cadillac Chevrolet at 888-277-6247 or 800-408-3333. Say you saw it in Car Buyers Market. Black Raven, 10 mi, Bucket Seats,Knee Air Bag,Passenger Adjustable Lumbar,Passenger Illuminated Visor Mirror,PDL,Premium Sound System,Tire Pressure Monitor,Daytime Running Lights,Floor Mats,Front Head Air Bag,Heated Steering Wheel,Mirror Memory,MP3 Player,Power Passenger Seat,Rear Parking Aid,Remote Trunk Release,Steering Wheel Audio Controls,Driver Adjustable Lumbar,HD Radio,Heated Mirrors,Integrated Turn Signal Mirrors,Intermittent Wipers,PS,Rear Defrost,Security System,Tow Hooks,WiFi Hotspot,4 Cylinder Engine,4-Wheel Disc Brakes,ABS,Auto-Dimming Rearview Mirror,Auxiliary Audio Input,Cruise,Driver Air Bag,Emergency Trunk Release,Heated Front Seat(s),Universal Garage Door Opener,A/C,Adjustable Steering Wheel,Automatic Headlights,Climate Control,Gasoline Fuel,Navigation from Telematics,PW,Stability Control,8-Speed A/T,Back-Up Camera,Driver Illuminated Vanity Mirror,Engine Immobilizer,Keyless Entry,Keyless Start,Leather Steering Wheel,Power Driver Seat,Rear Head Air Bag,Tires - Front Performance,Tires - Rear Performance,Turbocharged,Aluminum Wheels,AM/FM Stereo,Front Side Air Bag,Multi-Zone A/C,Navigation System,Passenger Air Bag Sensor,Passenger Vanity Mirror,Remote Engine Start,Seat Memory,A/T,All Wheel Drive,Bluetooth Connection,Child Safety Locks,Driver Vanity Mirror,Leath Int,Pass-Through Rear Seat,Passenger Air Bag,Power Mirror(s),Rear Bench Seat,satellite radio,Smart Device Integration,Telematics,Traction Control VIN:1G6AH5SX2H0202728, Stock No:A7851, Call Kristal Cadillac Chevrolet at 888-277-6247 or 800-408-3333. Say you saw it in Car Buyers Market. Black Raven, 10 mi, 8-Speed A/T,ABS,Back-Up Camera,Front Side Air Bag,Navigation System,Telematics,Bluetooth Connection,Driver Vanity Mirror,Mirror Memory,Passenger Air Bag,PDL,Remote Engine Start,Steering Wheel Audio Controls,AM/FM Stereo,Automatic Headlights,Emergency Trunk Release,Floor Mats,Gasoline Fuel,Heated Front Seat(s),Keyless Start,Navigation from Telematics,Passenger Illuminated Visor Mirror,Passenger Vanity Mirror,Smart Device Integration,Tire Pressure Monitor,Universal Garage Door Opener,4 Cylinder Engine,Auxiliary Audio Input,Bucket Seats,Driver Adjustable Lumbar,Driver Illuminated Vanity Mirror,HD Radio,Heated Mirrors,PW,Rear Head Air Bag,Aluminum Wheels,Auto-Dimming Rearview Mirror,Climate Control,Daytime Running Lights,Leather Steering Wheel,Pass-Through Rear Seat,satellite radio,Seat Memory,WiFi Hotspot,Child Safety Locks,Cruise,Driver Air Bag,Engine Immobilizer,Intermittent Wipers,Knee Air Bag,Leath Int,MP3 Player,Multi-Zone A/C,Passenger Air Bag Sensor,Rear Defrost,Rear Parking Aid,Security System,Stability Control,Turbocharged,4-Wheel Disc Brakes,A/C,Adjustable Steering Wheel,All Wheel Drive,Heated Steering Wheel,Passenger Adjustable Lumbar,Power Passenger Seat,Remote Trunk Release,Tires - Front Performance,A/T,Front Head Air Bag,Integrated Turn Signal Mirrors,Keyless Entry,Power Driver Seat,Power Mirror(s),PS,Premium Sound System,Rear Bench Seat,Tires - Rear Performance,Tow Hooks,Traction Control VIN:1G6AH5SX4H0148221, Stock No:A7268, Call Kristal Cadillac Chevrolet at 888-277-6247 or 800-408-3333. Say you saw it in Car Buyers Market. Phantom Gray Metallic, 10 mi, Auxiliary Audio Input,Front Head Air Bag,Heated Mirrors,Passenger Air Bag,PS,Remote Engine Start,Variable Speed Intermittent Wipers,8-Speed A/T,Back-Up Camera,Driver Adjustable Lumbar,Heated Steering Wheel,Keyless Start,Power Driver Seat,Rain Sensing Wipers,Tires - Front Performance,Bluetooth Connection,Bucket Seats,Knee Air Bag,PDL,V6 Cylinder Engine,ABS,AM/FM Stereo,Auto-Dimming Rearview Mirror,Automatic Parking,Gasoline Fuel,Heated Front Seat(s),Smart Device Integration,Telematics,Universal Garage Door Opener,WiFi Hotspot,Engine Immobilizer,HD Radio,Integrated Turn Signal Mirrors,Intermittent Wipers,Multi-Zone A/C,Passenger Air Bag Sensor,Security System,Tires - Rear Performance,A/C,Adjustable Steering Wheel,Aluminum Wheels,Brake Assist,Cross-Traffic Alert,Daytime Running Lights,Floor Mats,Leather Steering Wheel,Power Folding Mirrors,Power Outlet,Power Passenger Seat,Rear Head Air Bag,A/T,Blind Spot Monitor,Driver Air Bag,Keyless Entry,Lane Keeping Assist,MP3 Player,Power Mirror(s),Premium Sound System,Rear Bench Seat,Rear Parking Aid,Temporary Spare Tire,4-Wheel Disc Brakes,All Wheel Drive,Climate Control,Cruise,Front Side Air Bag,Lane Departure Warning,Navigation System,Passenger Adjustable Lumbar,satellite radio,Seat Memory,Wheel Locks VIN:1G6KD5RS0HU155931, Stock No:A7297, Call Kristal Cadillac Chevrolet at 888-277-6247 or 800-408-3333. Say you saw it in Car Buyers Market. 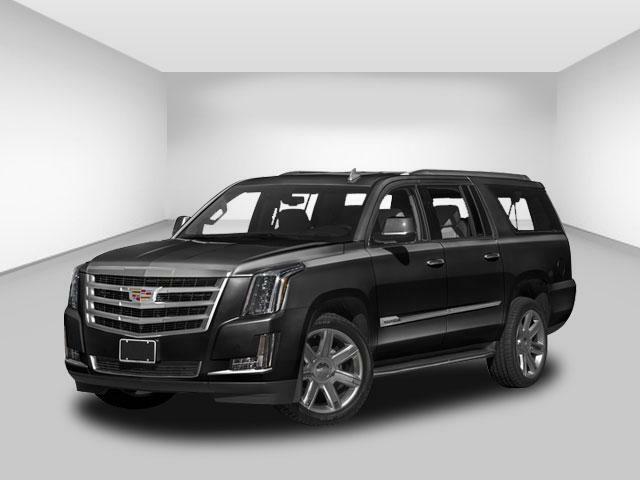 $44,989, Stellar Black Metallic, 25,237 mi, All Wheel Drive,Automatic Parking,Bluetooth Connection,Heated Steering Wheel,Passenger Adjustable Lumbar,Power Folding Mirrors,Remote Engine Start,Smart Device Integration,Universal Garage Door Opener,AM/FM Stereo,Auxiliary Audio Input,Blind Spot Monitor,Bucket Seats,Driver Adjustable Lumbar,Heated Mirrors,Integrated Turn Signal Mirrors,Premium Sound System,Rain Sensing Wipers,Temporary Spare Tire,V6 Cylinder Engine,A/T,Brake Assist,Climate Control,Front Head Air Bag,Front Side Air Bag,Lane Departure Warning,Lane Keeping Assist,MP3 Player,Passenger Air Bag,Power Mirror(s),PS,Rear Bench Seat,Rear Parking Aid,satellite radio,Seat Memory,Telematics,4-Wheel Disc Brakes,Cruise,Multi-Zone A/C,Navigation System,Passenger Air Bag Sensor,Power Passenger Seat,Tires - Front Performance,A/C,Adjustable Steering Wheel,Driver Air Bag,Engine Immobilizer,Floor Mats,Gasoline Fuel,Heated Front Seat(s),Keyless Entry,Power Driver Seat,Power Outlet,Aluminum Wheels,HD Radio,Rear Head Air Bag,Tires - Rear Performance,Wheel Locks,8-Speed A/T,ABS,Auto-Dimming Rearview Mirror,Back-Up Camera,Cross-Traffic Alert,Daytime Running Lights,Leather Steering Wheel,PDL,Security System,WiFi Hotspot,Intermittent Wipers,Keyless Start,Knee Air Bag,Variable Speed Intermittent Wipers VIN:1G6KD5RS9HU144913, Stock No:U175, Call Kristal Cadillac Chevrolet at 888-277-6247 or 800-408-3333. Say you saw it in Car Buyers Market. 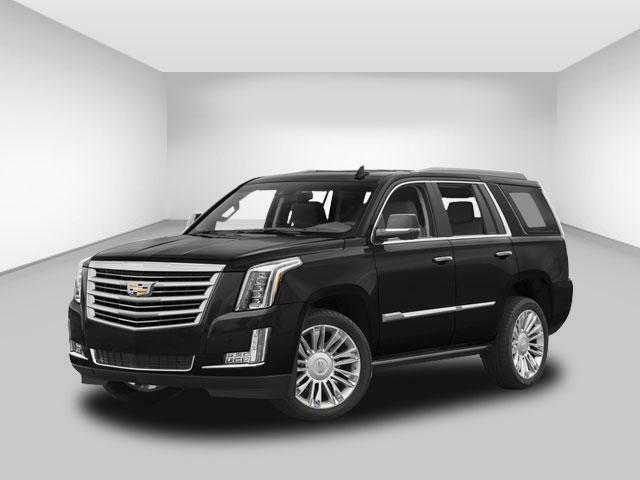 Black Raven, 10 mi, 4-Wheel Disc Brakes,Active Suspension,Automatic Parking,Bluetooth Connection,Heated Steering Wheel,Passenger Adjustable Lumbar,Rear A/C,Smart Device Integration,Tire Pressure Monitor,Tow Hitch,Universal Garage Door Opener,Air Suspension,Auxiliary Audio Input,Blind Spot Monitor,Front Head Air Bag,Lane Departure Warning,Pass-Through Rear Seat,Passenger Air Bag,Premium Sound System,Telematics,Traction Control,Transmission Overdrive Switch,Climate Control,Cooled Front Seat(s),Cruise,Driver Adjustable Lumbar,Front Side Air Bag,Heated Mirrors,Integrated Turn Signal Mirrors,Multi-Zone A/C,Navigation System,Passenger Air Bag Sensor,PS,Rain Sensing Wipers,Rear Head Air Bag,satellite radio,Seat Memory,Heads-Up Display,Heated Rear Seat(s),Lane Keeping Assist,Locking/Limited Slip Differential,MP3 Player,Power Driver Seat,Power Passenger Seat,Rear Parking Aid,Tires - Front Performance,A/C,Adjustable Steering Wheel,Automatic Headlights,CD,Conventional Spare Tire,Floor Mats,Gasoline Fuel,Heated Front Seat(s),Keyless Entry,Navigation from Telematics,PW,Privacy Glass,Stability Control,Sun/Moonroof,A/T,ABS,Bucket Seats,Driver Air Bag,HD Radio,Power Mirror(s),Rear Bucket Seats,Tires - Rear Performance,Trip Computer,8-Speed A/T,Aluminum Wheels,Back-Up Camera,Child Safety Locks,Cross-Traffic Alert,Generic Sun/Moonroof,Intermittent Wipers,Leath Int,Luggage Rack,Power Liftgate,Rear Defrost,Running Boards/Side Steps,Security System,WiFi Hotspot,8 Cylinder Engine,Adjustable Pedals,Engine Immobilizer,Four Wheel Drive,Hands-Free Liftgate,Keyless Start,Leather Steering Wheel,Mirror Memory,PDL,Power Folding Mirrors,Remote Engine Start,Remote Trunk Release,Steering Wheel Audio Controls,Variable Speed Intermittent Wipers VIN:1GYS4BKJ8HR333286, Stock No:A8004, Call Kristal Cadillac Chevrolet at 888-277-6247 or 800-408-3333. Say you saw it in Car Buyers Market. Black Raven, 10 mi, A/C,Active Suspension,Adjustable Steering Wheel,Automatic Headlights,Conventional Spare Tire,Driver Air Bag,Engine Immobilizer,Floor Mats,Gasoline Fuel,Heated Front Seat(s),Keyless Entry,Navigation from Telematics,Power Driver Seat,Stability Control,A/T,HD Radio,Power Mirror(s),PW,Rear Bucket Seats,Rear Head Air Bag,Tires - Rear Performance,Trip Computer,Child Safety Locks,Climate Control,Front Head Air Bag,Front Side Air Bag,Heads-Up Display,Integrated Turn Signal Mirrors,Lane Departure Warning,Lane Keeping Assist,Leath Int,Pass-Through Rear Seat,Passenger Air Bag,Passenger Air Bag Sensor,PS,Rain Sensing Wipers,satellite radio,Seat Memory,Telematics,4-Wheel Disc Brakes,Cooled Front Seat(s),Heated Rear Seat(s),MP3 Player,Multi-Zone A/C,Navigation System,PDL,Power Passenger Seat,Rear Parking Aid,Tires - Front Performance,8 Cylinder Engine,Air Suspension,Automatic Parking,Bluetooth Connection,Bucket Seats,CD,Heated Steering Wheel,Locking/Limited Slip Differential,Passenger Adjustable Lumbar,Power Folding Mirrors,Rear A/C,Remote Engine Start,Remote Trunk Release,Smart Device Integration,Tire Pressure Monitor,Transmission Overdrive Switch,Universal Garage Door Opener,Auxiliary Audio Input,Blind Spot Monitor,Driver Adjustable Lumbar,Heated Mirrors,Power Liftgate,Premium Sound System,Privacy Glass,Running Boards/Side Steps,Tow Hitch,Traction Control,8-Speed A/T,ABS,Adjustable Pedals,Aluminum Wheels,Back-Up Camera,Cross-Traffic Alert,Cruise,Four Wheel Drive,Generic Sun/Moonroof,Intermittent Wipers,Leather Steering Wheel,Luggage Rack,Security System,WiFi Hotspot,Hands-Free Liftgate,Keyless Start,Mirror Memory,Rear Defrost,Steering Wheel Audio Controls,Sun/Moonroof,Variable Speed Intermittent Wipers VIN:1GYS4BKJ2HR369636, Stock No:A8137, Call Kristal Cadillac Chevrolet at 888-277-6247 or 800-408-3333. Say you saw it in Car Buyers Market. 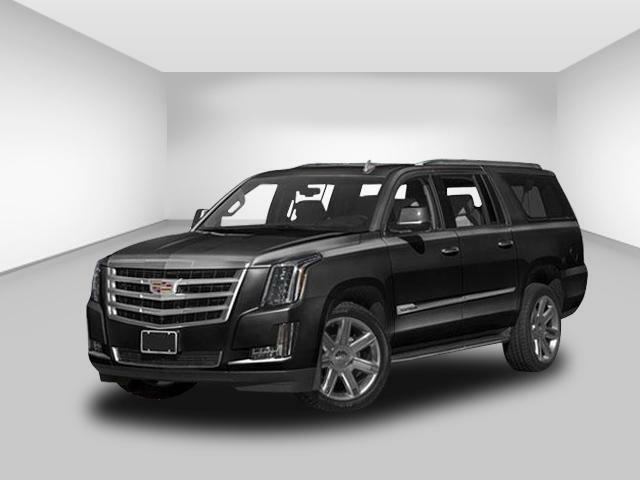 Black Raven, 10 mi, Driver Adjustable Lumbar,Floor Mats,Front Head Air Bag,Heads-Up Display,Integrated Turn Signal Mirrors,Keyless Entry,Locking/Limited Slip Differential,Navigation from Telematics,PS,Rain Sensing Wipers,Rear Head Air Bag,Tire Pressure Monitor,Bucket Seats,Heated Rear Seat(s),Lane Keeping Assist,MP3 Player,PW,Rear Parking Aid,4-Wheel Disc Brakes,ABS,Active Suspension,Automatic Parking,Bluetooth Connection,Cooled Front Seat(s),Front Side Air Bag,Intermittent Wipers,Leath Int,Navigation System,Passenger Adjustable Lumbar,Passenger Air Bag Sensor,Rear A/C,Security System,Smart Device Integration,Universal Garage Door Opener,Air Suspension,Auxiliary Audio Input,CD,Heated Mirrors,Mirror Memory,Power Folding Mirrors,Power Passenger Seat,Remote Engine Start,Steering Wheel Audio Controls,Transmission Overdrive Switch,Variable Speed Intermittent Wipers,8 Cylinder Engine,8-Speed A/T,A/C,Adjustable Steering Wheel,Aluminum Wheels,Back-Up Camera,Cross-Traffic Alert,Four Wheel Drive,Heated Steering Wheel,Power Liftgate,Remote Trunk Release,Running Boards/Side Steps,A/T,Adjustable Pedals,Blind Spot Monitor,Hands-Free Liftgate,Leather Steering Wheel,Pass-Through Rear Seat,PDL,Power Mirror(s),Premium Sound System,Sun/Moonroof,Telematics,Tow Hitch,Traction Control,Trip Computer,Automatic Headlights,Climate Control,Conventional Spare Tire,Cruise,Driver Air Bag,Gasoline Fuel,Generic Sun/Moonroof,Heated Front Seat(s),Lane Departure Warning,Luggage Rack,Passenger Air Bag,Privacy Glass,satellite radio,Seat Memory,Stability Control,WiFi Hotspot,Child Safety Locks,Engine Immobilizer,HD Radio,Keyless Start,Multi-Zone A/C,Power Driver Seat,Rear Bucket Seats,Rear Defrost,Tires - Front Performance,Tires - Rear Performance VIN:1GYS4BKJ5HR393705, Stock No:A8200, Call Kristal Cadillac Chevrolet at 888-277-6247 or 800-408-3333. Say you saw it in Car Buyers Market. Black Raven, 10 mi, Bluetooth Connection,Bucket Seats,Lane Keeping Assist,Locking/Limited Slip Differential,PDL,Power Mirror(s),Rear A/C,Tire Pressure Monitor,Universal Garage Door Opener,8 Cylinder Engine,Adjustable Pedals,Adjustable Steering Wheel,CD,Driver Adjustable Lumbar,Floor Mats,Heated Rear Seat(s),Navigation from Telematics,Power Folding Mirrors,Power Passenger Seat,Remote Trunk Release,Steering Wheel Audio Controls,Variable Speed Intermittent Wipers,Front Head Air Bag,Generic Sun/Moonroof,Heads-Up Display,Integrated Turn Signal Mirrors,Intermittent Wipers,Luggage Rack,PS,Rain Sensing Wipers,Security System,Tires - Rear Performance,4-Wheel Disc Brakes,Climate Control,Cruise,Lane Departure Warning,Passenger Adjustable Lumbar,Privacy Glass,satellite radio,Seat Memory,Transmission Overdrive Switch,A/C,Blind Spot Monitor,Conventional Spare Tire,Driver Air Bag,Hands-Free Liftgate,Heated Front Seat(s),Keyless Entry,MP3 Player,PW,Rear Parking Aid,Stability Control,Aluminum Wheels,Engine Immobilizer,Heated Steering Wheel,Keyless Start,Leather Steering Wheel,Multi-Zone A/C,Power Driver Seat,Rear Head Air Bag,Sun/Moonroof,Tires - Front Performance,8-Speed A/T,Auxiliary Audio Input,Back-Up Camera,Child Safety Locks,Cooled Front Seat(s),Cross-Traffic Alert,Four Wheel Drive,Front Side Air Bag,HD Radio,Heated Mirrors,Leath Int,Mirror Memory,Navigation System,Passenger Air Bag,Passenger Air Bag Sensor,Power Liftgate,Rear Defrost,Remote Engine Start,Running Boards/Side Steps,A/T,ABS,Active Suspension,Air Suspension,Automatic Headlights,Automatic Parking,Gasoline Fuel,Pass-Through Rear Seat,Premium Sound System,Rear Bucket Seats,Smart Device Integration,Telematics,Tow Hitch,Traction Control,Trip Computer,WiFi Hotspot VIN:1GYS4HKJ7HR357484, Stock No:A8107, Call Kristal Cadillac Chevrolet at 888-277-6247 or 800-408-3333. Say you saw it in Car Buyers Market. Black Raven, 10 mi, Adjustable Steering Wheel,Aluminum Wheels,Front Head Air Bag,Keyless Entry,Power Driver Seat,Power Passenger Seat,PS,Premium Sound System,Tires - Rear Performance,Traction Control,6-Speed A/T,A/C,Air Suspension,Engine Immobilizer,Heated Steering Wheel,Integrated Turn Signal Mirrors,Passenger Adjustable Lumbar,Passenger Air Bag Sensor,Remote Engine Start,Remote Trunk Release,Tires - Front Performance,4-Wheel Disc Brakes,Active Suspension,Child Safety Locks,Cruise,Driver Air Bag,Knee Air Bag,Leath Int,Multi-Zone A/C,Rear Defrost,Security System,Auto-Dimming Rearview Mirror,Climate Control,Daytime Running Lights,Heated Rear Seat(s),MP3 Player,Pass-Through Rear Seat,Rear Bench Seat,Rear Parking Aid,satellite radio,Seat Memory,Stability Control,WiFi Hotspot,Driver Adjustable Lumbar,Driver Illuminated Vanity Mirror,HD Radio,Heated Mirrors,Passenger Illuminated Visor Mirror,Power Folding Mirrors,PW,Rain Sensing Wipers,Rear Head Air Bag,V6 Cylinder Engine,AM/FM Stereo,Auxiliary Audio Input,Floor Mats,Gasoline Fuel,Heated Front Seat(s),Intermittent Wipers,Keyless Start,Navigation from Telematics,Passenger Vanity Mirror,Rear Side Air Bag,Smart Device Integration,Tire Pressure Monitor,Universal Garage Door Opener,Automatic Headlights,Bluetooth Connection,Cooled Front Seat(s),Driver Vanity Mirror,Front Wheel Drive,HID headlights,Mirror Memory,Navigation System,Passenger Air Bag,Steering Wheel Audio Controls,Telematics,Variable Speed Intermittent Wipers,Woodgrain Interior Trim,A/T,ABS,Back-Up Camera,Bucket Seats,Front Side Air Bag,PDL,Power Mirror(s) VIN:2G61M5S30H9107664, Stock No:A7066, Call Kristal Cadillac Chevrolet at 888-277-6247 or 800-408-3333. Say you saw it in Car Buyers Market. 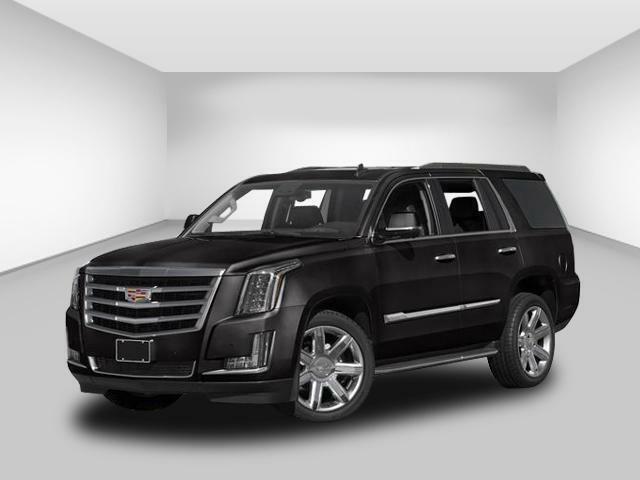 $27,989, Black, 38,674 mi, 4-Way Front Passenger Power Lumbar Control,Bodyside moldings,Dual front impact airbags,Dual front side impact airbags,Electronic Stability Control,Emergency communication system,Front & Rear Park Assist,Heated rear seats,High-Intensity Discharge Headlights,Leather Seating Surfaces,Occupant sensing airbag,PS,PW,Rain sensing wipers,Rear anti-roll bar,Split folding rear seat,Variably intermittent wipers,19 x 8.5 Aluminum Wheels,ABS,Air,Auto-dimming Rear-View mirror,Brake assist,Front anti-roll bar,Front Bucket Seats,Genuine wood door panel insert,Illuminated entry,Knee airbag,Outside temperature display,Radio: Cadillac CUE Info/Media Ctrl w/Embedded Nav,Speed-sensing steering,Steering wheel memory,Steering wheel mounted audio controls,Voltmeter,Adaptive suspension,Automatic Parking Assist,Automatic temperature control,Dual-Outlet Stainless-Steel Exhaust,Front Center Armrest w/Storage,Heated & Ventilated Front Bucket Seats,Luxury Package 1SB,Panic alarm,Rear cargo: trunk,Remote keyless entry,SiriusXM Satellite Radio & HD Radio,Speed control,Ventilated front seats,Auto tilt-away steering wheel,Bose Premium 8-Speaker Audio System Feature,Compass,Front dual zone A/C,Genuine wood dashboard insert,Power driver seat,4-Way Driver Power Lumbar Control Seat Adjuster,Auto-leveling suspension,Delay-off headlights,Exterior Parking Camera Rear,Four wheel independent suspension,Garage door transmitter,Heated front seats,Memory seat,Overhead airbag,Radio data system,Rear seat center armrest,Trip computer,Driver vanity mirror,Front reading lights,Genuine wood console insert,Leather Shift Knob,Leather steering wheel,Rear side impact airbag,Rear window defroster,Road Emergency Tool Kit,Tachometer,Telescoping steering wheel,Tilt,Traction Control,4-Wheel Disc Brakes,Bumpers: body-color,Driver door bin,Fully automatic headlights,Heated door mirrors,Leather-Wrapped Steering Wheel,Navigation System,Passenger door bin,Power door mirrors,Security system,Turn signal indicator mirrors,Upper & Lower Auxiliary Daytime Running Lamps,8 Speakers,AM/FM radio: SiriusXM,Auto-dimming door mirrors,Front License Plate Bracket,Heated steering wheel,Low tire pressure warning,Passenger vanity mirror,Power passenger seat,Rear reading lights,Spoiler VIN:2G61M5S36H9155671, Stock No:U167, Call Kristal Cadillac Chevrolet at 888-277-6247 or 800-408-3333. Say you saw it in Car Buyers Market. 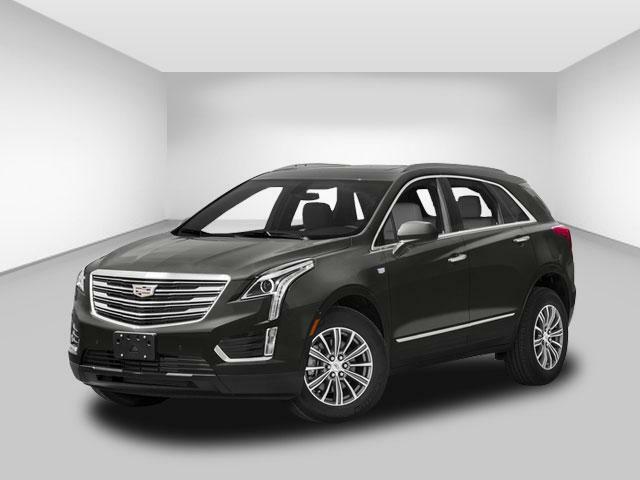 $56,019, Phantom Gray Metallic, 10 mi, 4-Wheel Disc Brakes,All Wheel Drive,Emergency Trunk Release,Heated Steering Wheel,Keyless Start,Passenger Adjustable Lumbar,Passenger Illuminated Visor Mirror,Passenger Vanity Mirror,Smart Device Integration,Tire Pressure Monitor,Tires - Front Performance,Universal Garage Door Opener,Auxiliary Audio Input,Blind Spot Monitor,Driver Illuminated Vanity Mirror,Front Head Air Bag,Heated Mirrors,Keyless Entry,Lane Departure Warning,Pass-Through Rear Seat,PS,Premium Sound System,Rear Bench Seat,Traction Control,V6 Cylinder Engine,8-Speed A/T,ABS,Aluminum Wheels,Auto-Dimming Rearview Mirror,Back-Up Camera,Child Safety Locks,Cross-Traffic Alert,Daytime Running Lights,Driver Vanity Mirror,Generic Sun/Moonroof,Passenger Air Bag,Rear Defrost,Telematics,WiFi Hotspot,Bluetooth Connection,Engine Immobilizer,HID headlights,Knee Air Bag,Leath Int,Mirror Memory,Passenger Air Bag Sensor,PDL,Remote Engine Start,Remote Trunk Release,Stability Control,Steering Wheel Audio Controls,Transmission w/Dual Shift Mode,Variable Speed Intermittent Wipers,A/C,Adjustable Steering Wheel,AM/FM Stereo,Floor Mats,Gasoline Fuel,Heated Front Seat(s),Navigation from Telematics,Power Outlet,Power Passenger Seat,PW,Sun/Moonroof,A/T,Bucket Seats,HD Radio,Integrated Turn Signal Mirrors,Power Mirror(s),Rear Side Air Bag,Tires - Rear Performance,Tow Hooks,Climate Control,Cooled Front Seat(s),Cruise,Driver Adjustable Lumbar,Front Side Air Bag,Leather Steering Wheel,Multi-Zone A/C,Navigation System,Panoramic Roof,Rain Sensing Wipers,satellite radio,Seat Memory,Driver Air Bag,Intermittent Wipers,Lane Keeping Assist,MP3 Player,Power Driver Seat,Rear Parking Aid,Security System VIN:1G6AX5SS0G0117750, Stock No:A6093, Call Kristal Cadillac Chevrolet at 888-277-6247 or 800-408-3333. Say you saw it in Car Buyers Market. Phantom Gray Metallic, 10 mi, A/T,Automatic Headlights,Bluetooth Connection,Child Safety Locks,Driver Vanity Mirror,Gasoline Fuel,Passenger Air Bag,Premium Sound System,Rear Defrost,Telematics,Traction Control,6-Speed A/T,AM/FM Stereo,Auxiliary Audio Input,Mirror Memory,Passenger Air Bag Sensor,Passenger Vanity Mirror,Power Outlet,Rear Side Air Bag,Remote Engine Start,Adjustable Steering Wheel,Driver Adjustable Lumbar,Floor Mats,Heated Mirrors,Knee Air Bag,Navigation from Telematics,Power Passenger Seat,PW,Premium Synthetic Seats,Remote Trunk Release,Steering Wheel Audio Controls,4 Cylinder Engine,ABS,Bucket Seats,Emergency Trunk Release,PDL,Power Mirror(s),Transmission w/Dual Shift Mode,4-Wheel Disc Brakes,Auto-Dimming Rearview Mirror,Cruise,Driver Air Bag,Front Side Air Bag,Multi-Zone A/C,Passenger Adjustable Lumbar,satellite radio,Seat Memory,Universal Garage Door Opener,All Wheel Drive,Front Head Air Bag,Integrated Turn Signal Mirrors,Intermittent Wipers,PS,Security System,Tires - Rear Performance,Tow Hooks,Aluminum Wheels,Driver Illuminated Vanity Mirror,Engine Immobilizer,Keyless Start,Leather Steering Wheel,Passenger Illuminated Visor Mirror,Power Driver Seat,Tire Pressure Monitor,Tires - Front Performance,Turbocharged,A/C,Climate Control,Daytime Running Lights,Keyless Entry,MP3 Player,Pass-Through Rear Seat,Rear Bench Seat,Rear Parking Aid,Stability Control VIN:1G6AW5SX6E0193727, Stock No:4773, Call Kristal Cadillac Chevrolet at 888-277-6247 or 800-408-3333. Say you saw it in Car Buyers Market. $13,999, Black, 43,041 mi, Sedan 4D, V6 2.8 LiterAutomatic, Moon Roof,OnStar,PDL,Traction Control,Tilt Wheel,PS,PW,Single Compact Disc,P Seats,Leath Int,F&R Side Air Bags,AM/FM Stereo,Cruise,Dual Front Air Bags,Alloy Wheels,ABS (4-Wheel),Air,Daytime running lamps,Fog lamps front integral in front fascia,Glass Solar-Ray light tinted,Wipers intermittent front includes washers,Armrest center front,Keyless entry remote,Seat adjuster recliner manual passenger,Steering column tilt-wheel adjustable,Steering wheel leather-wrapped rim,Trunk release power,Drivetrain rear-wheel drive,Traction control all-speed brake and engine controlled,Steering power rack-and-pinion,Safety belts 3-point driver and front passenger belt-to-seat mounting,Traction control all-speed brake and engine controlled,Door locks child security rear,Brakes 4-wheel antilock 4-wheel disc,Daytime running lamps. "WOW!! YOU HAVE TO SEE THIS ONE!!! THIS IS HOT!! THIS CAR LOOKS AND RUNS LIKE NEW!! 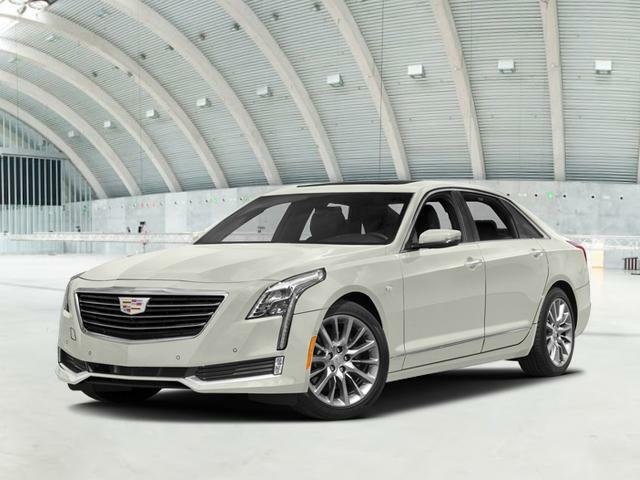 TOWN AND COUNTRY IS THE #1 CAR DEALER IN THE NORTHEAST SO COME SEE OUR CARS AND SEE WHY WE ARE #1. 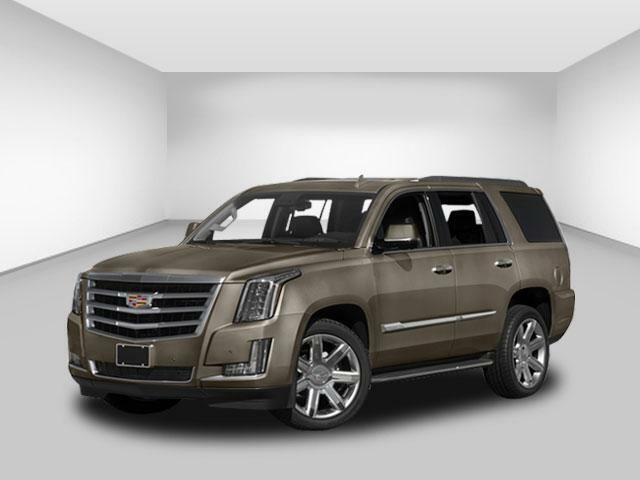 TOWN & COUNTRY HAS THE BEST PRICES SERVICE FREE LOANER CARS AND FREE CARFAX TOO. WE HAVE A GREAT OIL&FILTER CHANGE PROGRAM. ALL CERTIFIED CARS COME WITH A 6YR/80K WARRANTY. APPLY FOR CREDIT 24 HOURS A DAY AT WWW.TCJEEP.COM. We Always Guarantee Our Customer's Satisfaction! Hands-Down We Are the BEST at What We Do. -- And We Want to Do it For YOU! Give Our Sales Department a Call TODAY OR GO TO WWW.TCJEEP.COM TO SEE VIDEO ON THIS CAR!!!! prices include town & country jeep chrysler dodge finance program. tax title fees tags additional. 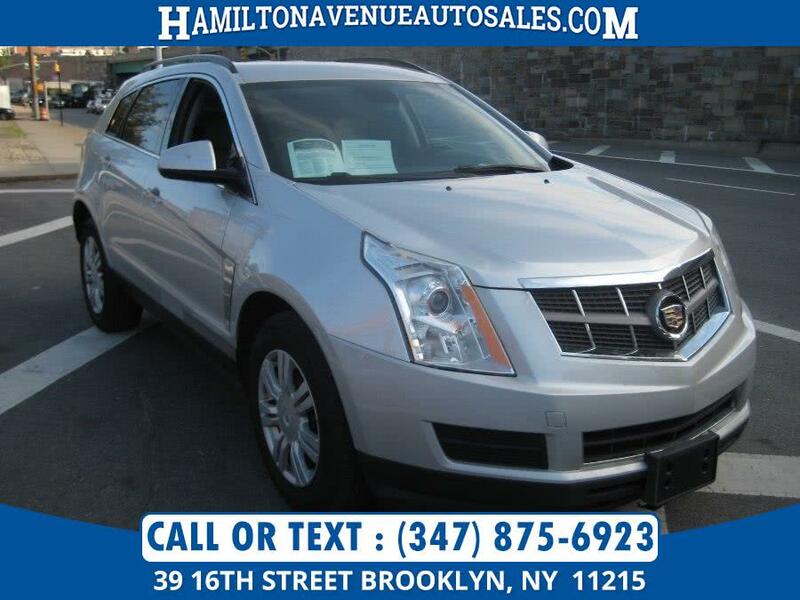 VIN:1G6DM57T360105887, Stock No:U7077, #1 Certified Pre-Owned Dealer on the East Coast. Call Town & Country Chrysler Dodge Jeep @ 1-877-858-7968, say you saw it in Car Buyers Market. Copyright ©1996-2019 Car Buyer's Market, Inc.